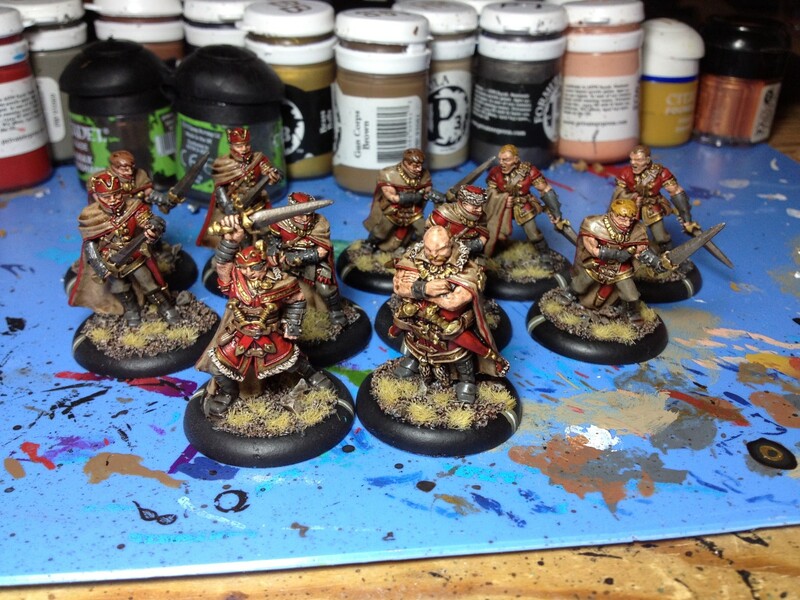 Finished up my Assassins on the weekend. 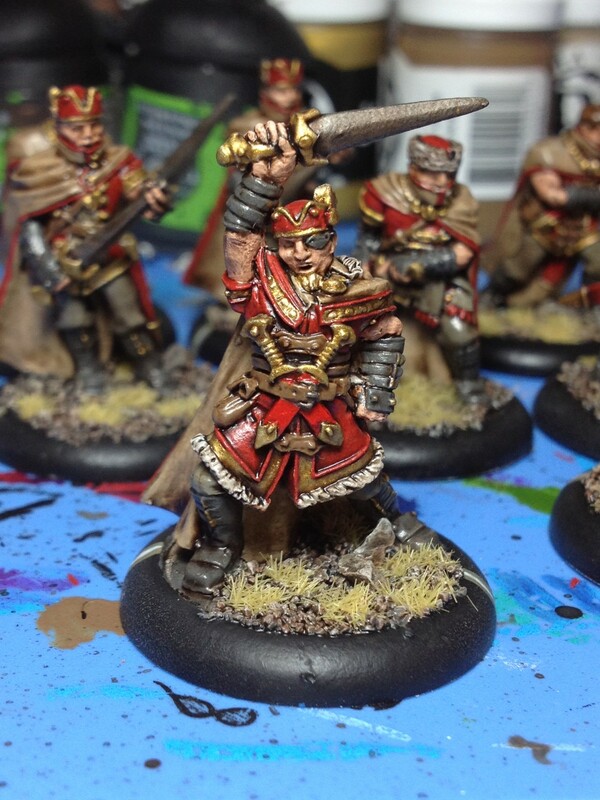 I can’t wait to get these guys on the table with MacBAIN!!! or anyone for that matter. 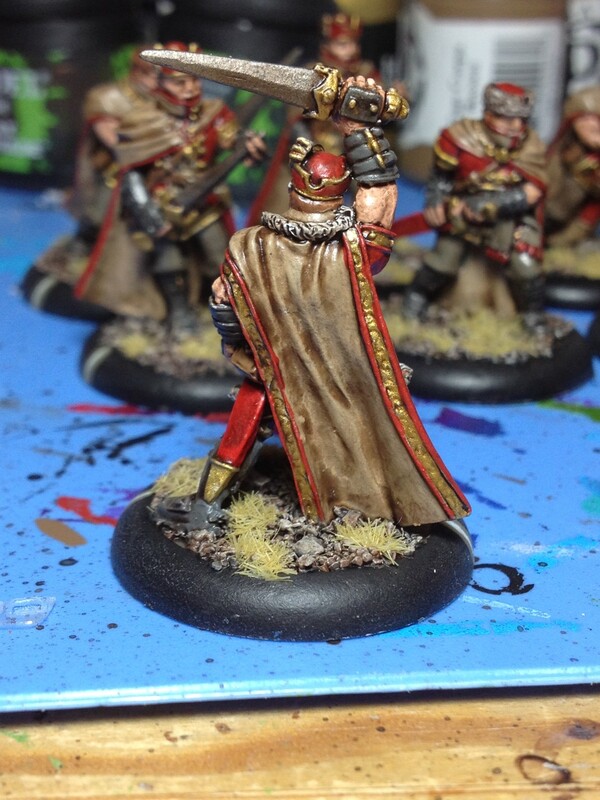 A lot of people have been begging for a resculpt of the Kayazy Assassins for while now but other that the one guy who’s head looks like it’s melting the sculpts are actually really nice. The leader especially is a really nice detailed model. Here is the full unit. Next up I have a few more solos and Bartolo!! 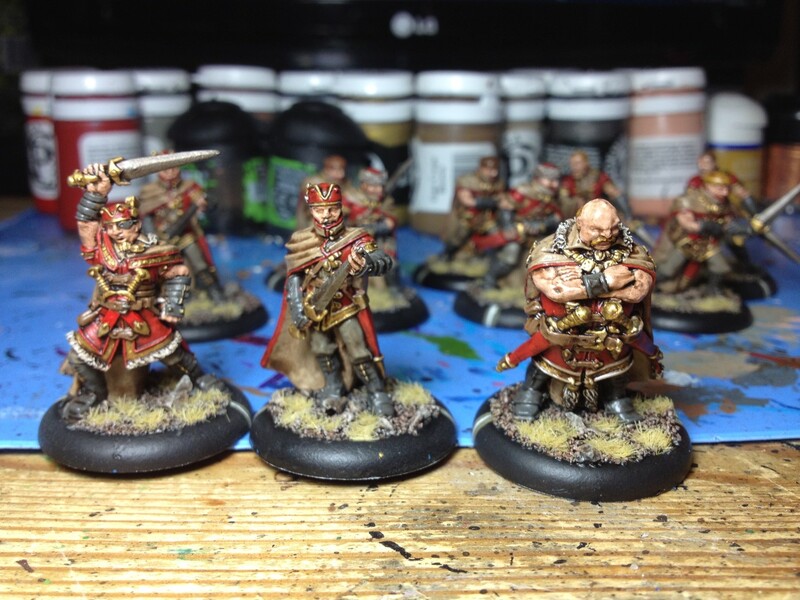 This entry was posted in Khador, Mercenaries, Painting Table and tagged Assassins, IABN, Kayazy, Khador, Mercenaries, painting, WarMachine by Nick. Bookmark the permalink. Very nice! I hate the models myself but theyre too good not to use. I used greenstuff to give them all goggles and hoods, i have yet to paint them though. That’s not the Aaron you think it is. Curses! Well… I still hope we get to see them! Hey, it’s early, and I’m not very smart. Those sound pretty awesome. Pics or it didn’t happen. I hadn’t noticed until now that the leader sports a goatee. That’s awesome! I plan to paint mine in AC2 Venetian blue, which will be quite an endeavour, since they DO have a good amount of detail. Yes. I can picture him stroking the goatee menacingly. AC themed Kayazy would probably look awesome.